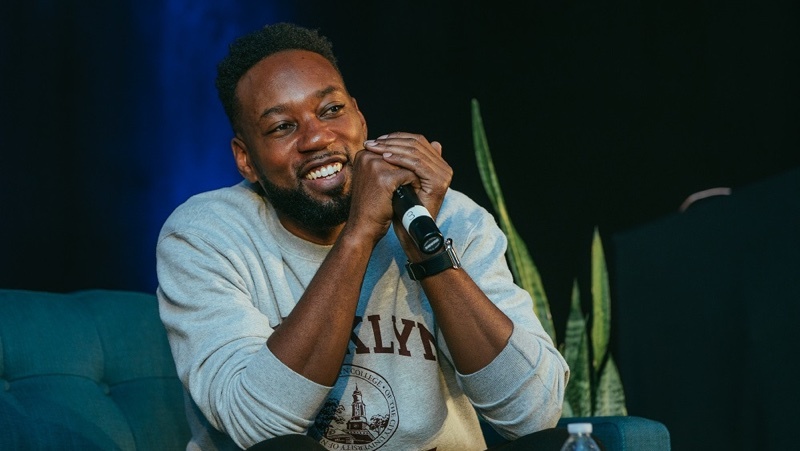 Carl Chery, Apple Music's head of hip-hop programming, has left Apple to work for Spotify, reports Variety. As head of hip-hop programming, Chery secured Apple exclusive releases from Chance the Rapper, including Grammy Award-winning album "Coloring Book," and he also helped discover artists like Cardi B, Bryson Tiller, Post Malone, Khalid, Daniel Caesar, 6LACK, and H.E.R. Chery first joined Apple in 2014 when Beats Music was acquired by the company, and prior to that date, he was a music journalist for SOHH.com, XXL, and BET. At Spotify, Chery will likely work with the service's popular RapCaviar playlist, which lost its curator last month. The news of Chery's hiring comes as Spotify prepares to introduce changes to its mobile app, which will be announced next week. It's not entirely clear what new features are coming to the Spotify app, but the company has been testing voice control and new free subscription options designed to make the streaming service easier to use. Does this mean that Apple Music will finally focus on something, anything, other than rap? I’m always rooting for Spotify. Besides loving their service, I’d hate to see it fold under the sheer size of Apple. They’ve built something amazing (and cross platform), whereas it feels like Apple spends more effort marketing Apple Music than improving/curating it. For the first time ever I'm thinking about giving Spotify a shot. I downloaded it, and was immediately impressed at the algorithm used to tailor music to my taste. Not to mention the dark theme is easier on the eyes. Does he have anything to do with Beats 1? That's mainly where hip hop is overrepresented. The music catalog itself seems about the same as everywhere else. Catalogue-wise, yes. But any sort of promotion is always rap. Hip hop is the most popular music in the US so Apple promoting it is not a surprise. Just like rock & roll in its time, some don't get it. The A list was a good new music playlist (it helped me weed out the trash from the good stuff), I hope they keep it around. Some don't get it? Or more likely some just don't like it? Spotify (still) is much larger than Apple Music.